On what was the first event on the newly laid surface at Croft, the sun shone on a busy trackside crowd – all of whom soaked up a feast of thrills and spills across both days. 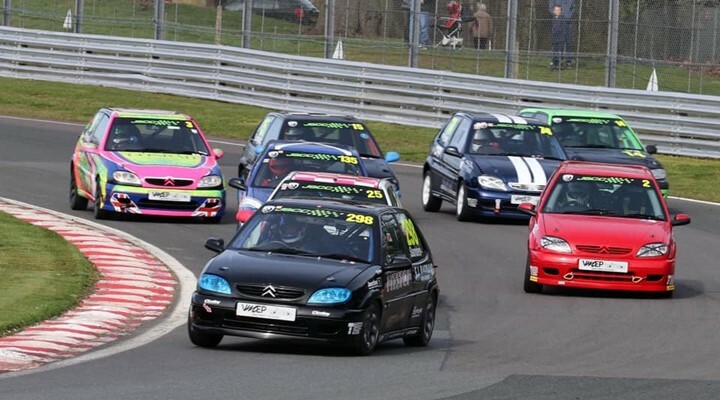 In the Junior Saloon Car Championship, Scott McIntyre proved to be in irresistible form as he produced a flawless weekend performance, scoring a pair of pole positions and a pair of race wins. 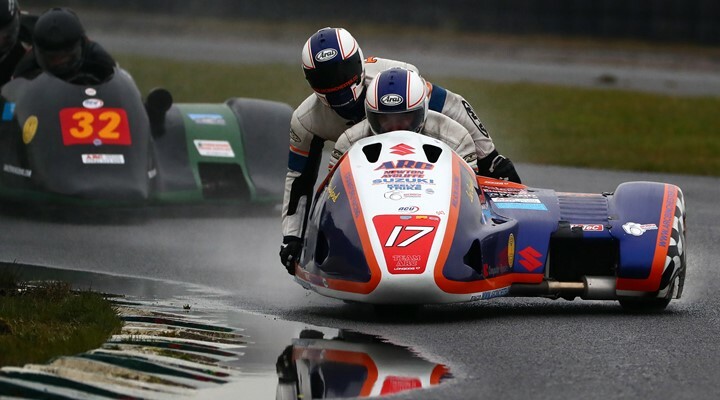 Having come into the weekend trailing defending champion Lewis Saunders in the standings, the former Scholarship winner underlined his credentials as a threat for the title in North Yorkshire in fine style. Separated by little over three tenths of a second at the chequered flag, McIntyre narrowly edged out Jemma Moore in race one whilst Saunders followed the duelling duo to round off the podium. Race two later in the weekend would see the roles reversed with Saunders being the closest challenger to McIntyre, albeit he wasn’t able to topple the impressive teenage as he chalked up his third consecutive victory of the year, with Moore capping off a stellar weekend with another podium finish. Records were broken in the Caterham Graduates Championship as the popular one-make category boasted a bumper 33-car entry for its second event of the season. Coming off the back of a pulsating 2019 curtain-raiser at Silverstone, Samuel Wilson showcased his talents behind the wheel with a mesmerising performance. Wilson was then in even more dominant form in race two as he again converted pole position into a commanding lead. Piloting his SigMax machine, Wilson scampered into the distance to clinch the chequered flag ten seconds ahead of Ellwood and Clark once again – capping off a stellar two days of track action. Paul Roddison picked up where he left off last year in the Max5 Racing Championship as the series roared into life for the first time in 2019. Having been the man to beat in 2018, the Roddison juggernaut continued as he bagged victory in all three encounters. Taking pole position ahead of Ian Loversidge in qualifying, Roddison showed his challengers a clean set of heels as he romped away to notch a perfect hat-trick amongst the Spring sunshine. Loversidge, Matthew Tidmarsh, Jeremy Shipley and Andrew Pretorius all netted podiums behind the dominant Roddison. Competing alongside the BARC categories was the Mini 7 Racing Club and the North Sports Saloon Car Championship where Lee Deegan, Aaron Smith, Joe Thompson, Dom Burger and Park Brydon ran out the victors in their respective championships. For the full classification of results from all sessions from the weekend, click here.